Manufacturing and Supplying a wide range of Almond Oil Sweet. The Almond tree is a native of the warmer parts of originated in western or central Asia, by 4000BC they had spread extensively and have been widely used for both culinary and other purposes for thousands of years. They were introduced to Northern India in the 16th century by Persians immigrants who settled in the region and as with Portugal and Spain, almonds are now an established ingredient in some North Indian cuisines in particular the Mughlai style of cooking. It was very early introduced into England, probably by the Romans, and occurs in the Anglo-Saxon lists of plants, but was not cultivated in England before 1562 and then chiefly for its blossom. Chemical constituents:: Sweet almond oil has various chemical compounds that include consists chiefly of Olein, with a small proportion of the Glyceride of Linolic Acid and other Glycerides. ExtractionIt is extracted by cold expression of nuts. 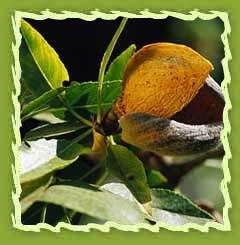 Sweet almond oil is used as a moisturizer and as a carrier oil in aromatherapy. It is an effective emollient, softening and smoothing the skin. 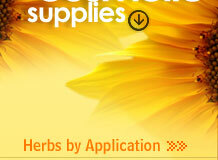 It is one of the most commonly used carrier oils because it does not leave a greasy residue. It is obtained from the dried kernel of the almond tree. The oil from the almond nut is rich in vitamin A and a superb natural moisturiser. Sweet almond oil is very beneficial for dry and mature skin, providing necessary moisture. Fresh sweet almonds possess demulcent and nutrient properties but as the outer brown skin sometimes causes irritation of the alimentary canal, they are blanched by removal of this skin when used for food. Though pleasant to the taste, their nutritive value is diminished unless well masticated, as they are difficult of digestion and may in some cases induce nettlerash and feverishness. They have a special diabetic value. They contain practically no starch and are therefore often made into flour for cakes and biscuits for patients suffering from diabetes.